The Royal Horticultural Society is the world’s leading gardening charity, inspiring passion and excellence in the science, art and practice of horticulture. In 2015 the RHS announced a ten year, £160 million investment programme. As part of the programme it pledged to find and develop a site for a fifth garden in the north west of England. 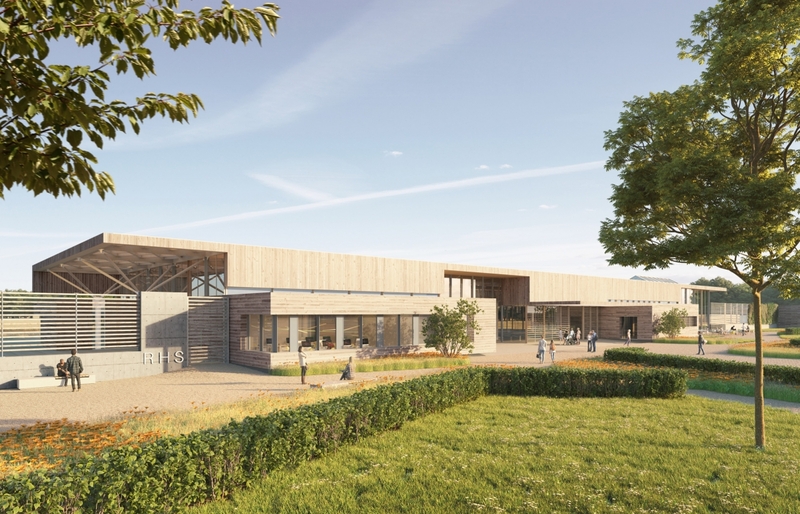 In November 2015 the RHS, in collaboration with Salford City Council and Peel Land and Property, announced the vision to create the new garden at the site of the 156 acre Worsley New Hall estate. 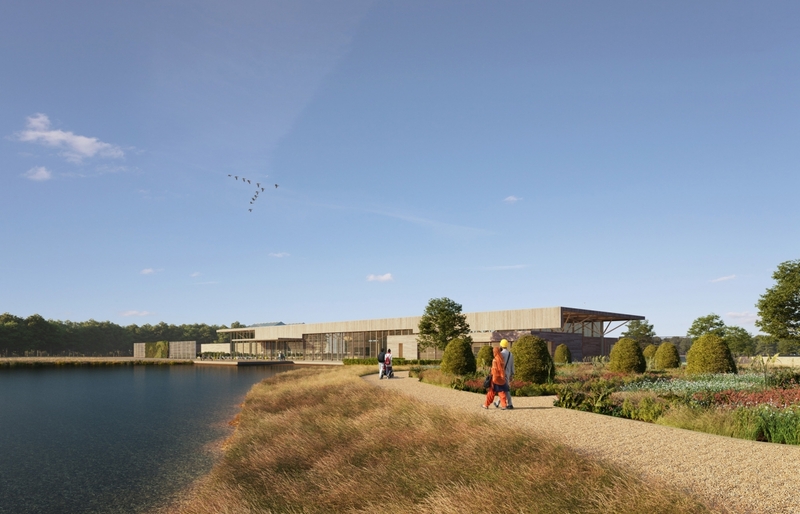 RHS Garden Bridgewater is the largest gardening project in Europe, and will be a major new tourism and horticultural destination which aspires to welcome and inspire up to 700,000 people a year within a decade. 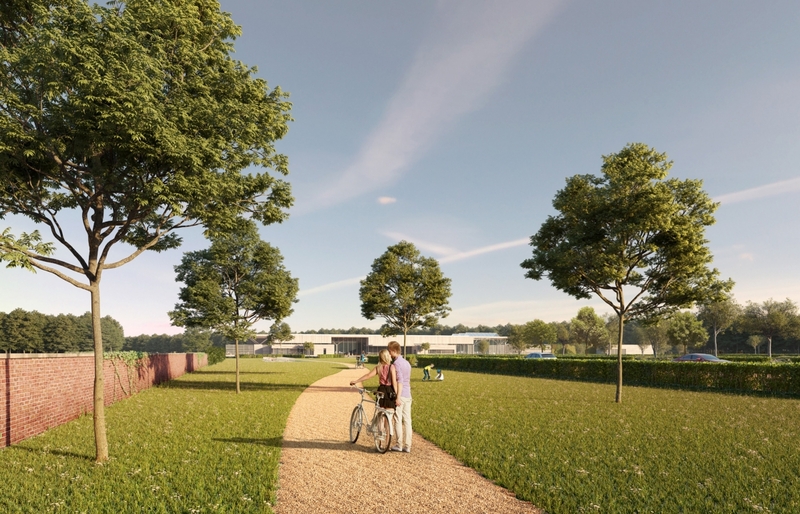 Phase 1 of the Tom Stuart-Smith masterplan is the restoration of the historic 11 acre walled garden, Middle Wood and the existing lake, in addition to the creation of a horticultural service yard, a therapeutic garden and community allotments. 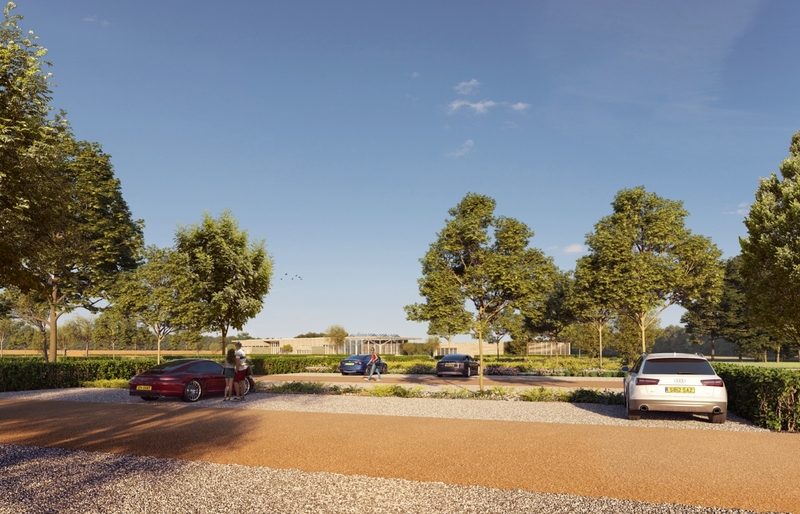 A new visitor centre or ‘welcome building’ will be located to the south east corner of the walled garden alongside a new lake. The welcome building is a horizontal composition which seeks to respond to a commanding horizon defined by the elevated Bridgewater Canal. It is the culmination of our long standing interest in architecture in the landscape. 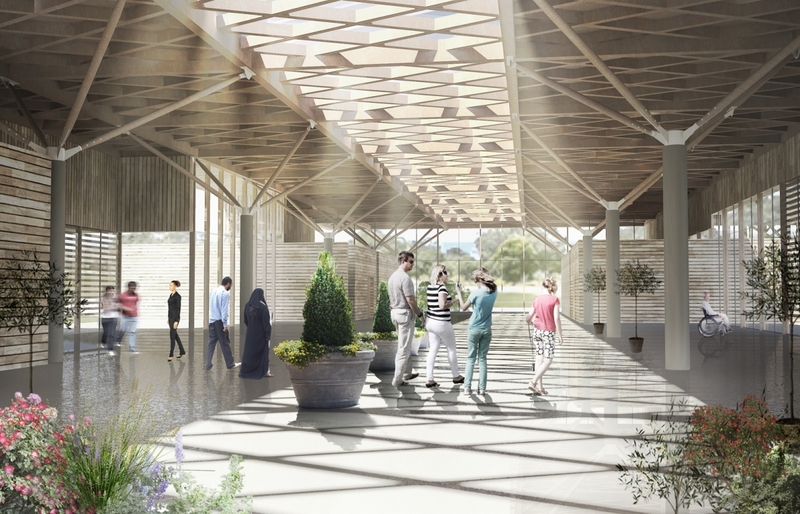 Structural trees support an overarching timber diagrid roof beneath which the primary components of the brief; ticketing, a learning centre, retail area, indoor plant sales, and café, can flex in response to seasonal demands. 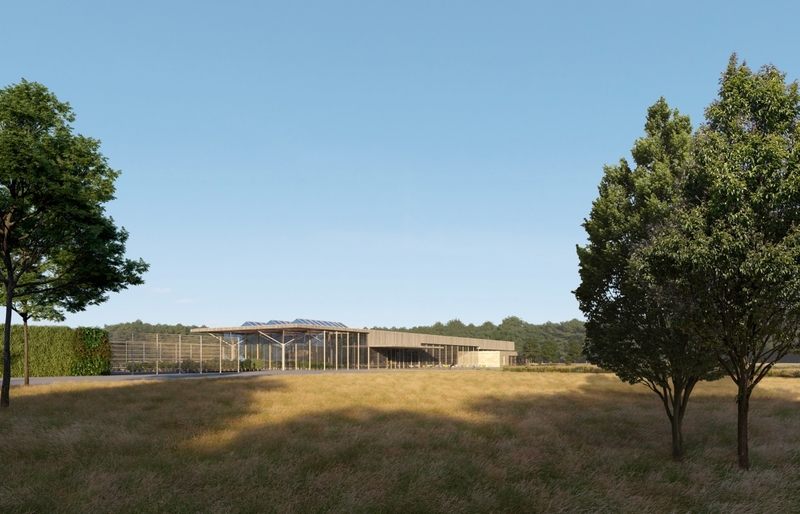 The roof extends beyond the enclosure to the north and south, blurring the edge between building and landscape. Natural light permeates the building either by louvred curtain walling, or filters through the diagrid via a rooflight that extends centrally along its full length. Rainwater harvesting, a green roof and ground source heat pumps are integral to the sustainable strategy.